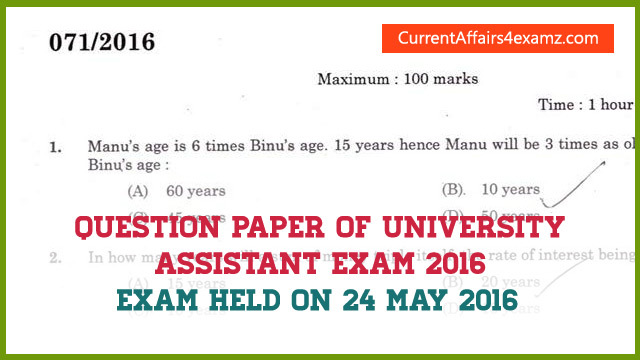 Hi Aspirants, here is the PDF Question Paper of University Assistant Exam 2016 held on 24 May 2016. We have already published the Answer Key of this exam and you can check that from the below link. This question paper will be useful for those preparing for other PSC Exams. 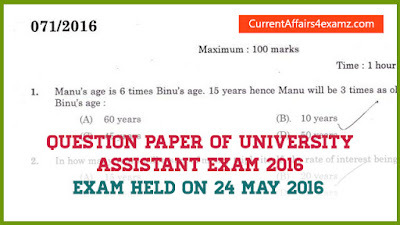 You can download the Question Paper from the below link. Happy Reading.